The quintessential recipe collection in my house growing up was kept in a dark grey, transparent plastic box. The content was mostly clipped from Bon Appétit and other magazines, with a few entirely handwritten ones as well. The clipped recipes were all taped to index cards, some as crisp as the day they were found, and others splattered and faded. Marinated Green Beans came from Better Homes and Gardens a very long time ago, and has been a summer staple for decades. 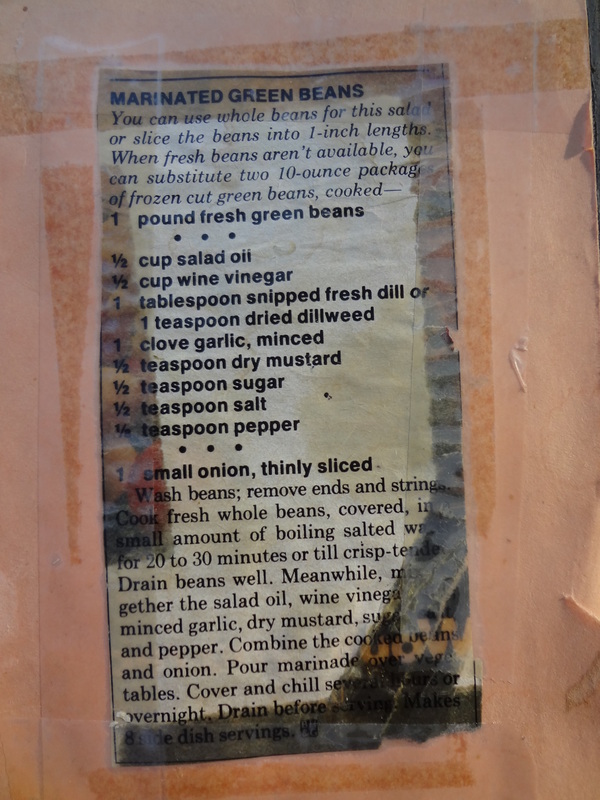 The recipe we use has morphed considerably from the original, which very questionably calls for the beans to be boiled in salted water for 20-30 minutes “or till crisp tender.” Don’t be alarmed by the amount of raw onion, the marinade essentially pickles them so they aren’t overwhelming. It is one of the dishes I often bring to barbecues and picnics to provide some vegetal relief a midst the burgers and dogs, that isn’t as fussy and wilty as a salad. Fill a pot with water and bring to a boil. Blanch the beans for 1 minute, then drain and run under cold water (or put in an ice bath, if you are super motivated). Mix together the oil, white wine vinegar, dill, garlic, dry mustard, honey, salt and pepper in a large bowl (or, the container you’re going to store the beans in for minimal dish doing). Add in the beans and sliced onions, and stir to coat. Cover and chill several hours or overnight. 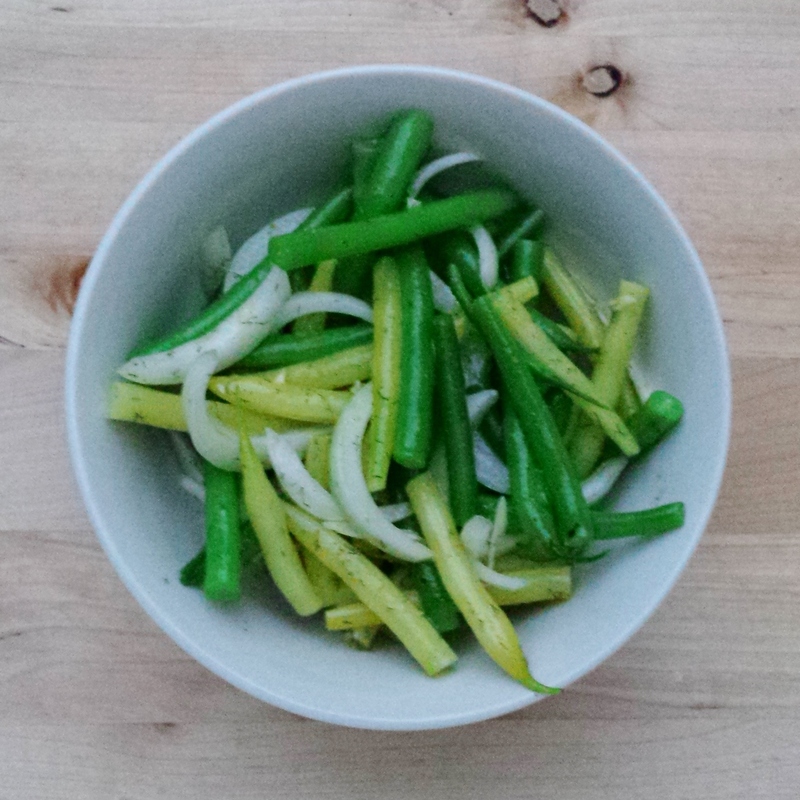 Updated 7/12/2015: In the photo above I used half wax beans to make an equally delicious but twice as pretty salad.